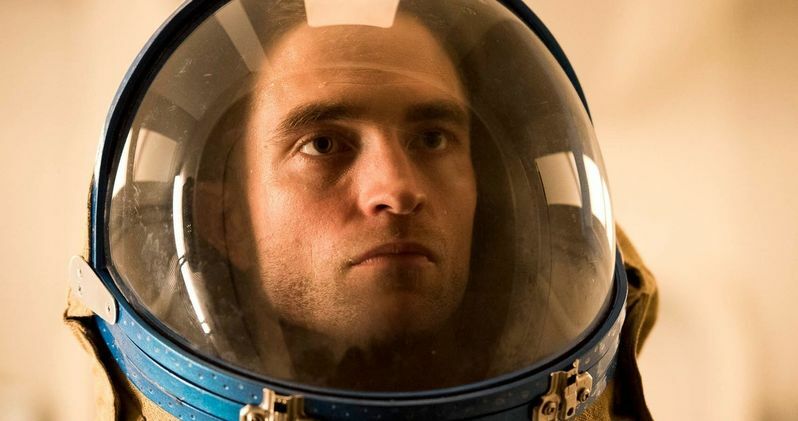 Robert Pattinson has read the script for the Untitled Christopher Nolan Project and he says it's "unbelievable." But beyond that, he is sworn to absolute secrecy when it comes to anything having to do with the actual contents of the movie itself. It was first announced that Pattinson had joined the cast of Nolan's very mysterious next project in March along with John David Washington and Elizabeth Debicki. The only description released from the studio calls the movie an "action blockbuster," which really doesn't give us a whole lot to go off of. Knowing Nolan, this isn't going to be any ordinary action movie. Robert Pattinson is currently out promoting his new sci-fi movie High Life, which has been described as bizarre. In a new interview, the actor was asked about his involvement in Christopher Nolan's movie, but he could not divulge much. He wasn't really able to say much at all when it comes down to it. He explains. "I got locked in a room to read the script - I don't have it myself. I've been a little wary of doing big movies for years and years, but there's just something about Chris Nolan's stuff. He seems like the only director now who can do what is essentially a very personal, independent movie that has huge scale. I read the script and it's unreal." Ok, so now Christopher Nolan's next movie can be described with another adjective. It's now an "unreal action blockbuster." It looks like Nolan is taking a few cues from Marvel Studios and Lucasfilm in terms of keeping everything under wraps. The Russo Brothers did not hand out full scripts for Infinity War or Endgame and if the actors wanted to read further, they had to read in a locked room with cellphones looked away like Robert Pattinson just did. All of this mystery surrounding Christopher Nolan's next movie is starting to build some considerable hype. There have been whispers the director is working on a top secret Green Lantern Corps. movie, but that has obviously not been confirmed at this time by the director or Warner Bros. Although Nolan's return to DC would be a welcome one, it seems news that big would have leaked by now, at least partially. Stranger things have happened, but it looks highly unlikely at this current time. For now, Christopher Nolan's next movie will continue to be a mystery. Hopefully Robert Pattinson and the rest of the cast and crew will be able to open up about some specifics soon. The movie will hit theaters on July 17th, 2020, so at the very least, we know it's coming and it's "unreal." Nolan's 11th movie is currently in the development stage and no production start has been announced at this time. With that being said, it won't be long now before shooting begins, with this summer a probable time to start in order to make the release date. The interview with Robert Pattinson was originally conducted by USA Today.